Li & Fung group president Marc Compagnon has shed more light on the sourcing giant's progress to reorientate its business model to "significantly change the way we think about things and the way we're going to market with new opportunities." 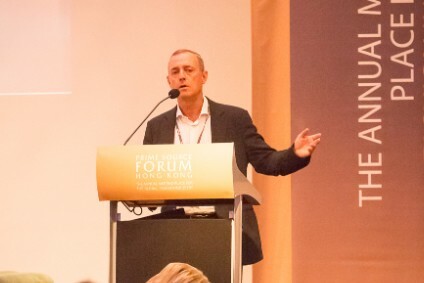 The group, which exports "pretty much everything in the consumer goods area" taps into a network that includes 15,000 suppliers in around 60 countries and 8,000 customers in 100 countries, and is focused on "transforming the supply chain through three things: speed, innovation and digitalisation," he told delegates at the recent Prime Source Forum event in Hong Kong. "Everything used to be about cost, the whole mantra was cheaper, cheaper, cheaper...going to the ends of the earth to get three cents off a T-shirt. Today, everything's about speed. "We've been retraining ourselves to act in different ways." For its customers, speed "enables them to make better decisions about what they buy, and eventually to have a better inventory plan, less markdown, increase their margin [and ultimately] become more profitable." However, "it's not just the speed of the boat or the sewing machines or the textile machinery. The factories that sew for someone like Zara aren't sewing faster than the guy that's sewing for Walmart. That's not the difference." "...it's how you organise yourself, how you make decisions, how you enable people in the supply chain to collaborate that creates speed"
Instead, "it's how you organise yourself, how you make decisions, how you enable people in the supply chain to collaborate that creates speed. That's pre-digital. That's just things that you can do today." The group has already managed to reduce a typical 52 to 40 week order cycle from creation to consumer by 60%, cutting the timeline down to between 25 to 23 weeks – even down to less than 10 weeks in some cases – "with some of our tools, and some of the digitalisation that we're doing." 3D design and fit tools, for example, mean "people can sit in Bangladesh or they can be in Germany, they can be in London, they can be in Vietnam or Hong Kong and participate in various prototyping activities." Compagnon also points out that building a culture of innovation is about a change of mindset, and also "really understanding what's going on outside and thinking about how that applies to you as company or as an individual in your company. We've been transforming ourselves as well as trying to bring our customers along on that journey. "Some of the things that we've done have been eye-opening; it's amazing what you can create. We call it zero-based solutions. Let's pretend we have nothing. How would we do this in today's world, taking advantage of the new opportunities?" As an example, Li & Fung is working with Betabrand, an online retailer and crowdfunding platform based in San Francisco, which designs, manufactures and releases new products in limited quantities each week. "We designed and launched a collection of footwear, using digital images posted on their site, and crowdsourced with consumers. Overnight we would tweak the digital images. We'd send them back. Over a period of time, they got sort of consensus on what the best parts were, went to market – and as a result, pretty much sold everything. We never made a sample. "Once the orders were done, that's when we went to the factory, and then we created the actual product. Completely different to the normal process that is in today's supply chain. "When we talk about the future, this is already happening in certain areas. We look at a five-day supply chain from start to finish. Those things are possible." "We think it's critical for the industry to think differently. Our platform is intended to create end-to-end supply chain visibility"
"We think it's critical for the industry to think about things differently. That's what we're doing. Our platform is intended to create end-to-end supply chain visibility." Key to creating innovation, value – and, of course, smarter, faster, and more effective decisions – is the collection of data, and ultimately digitalisation, "but you have to digitise in order to digitalise. A lot of companies have a lot of information. They have data. They have different things – but it has to be in the right form." 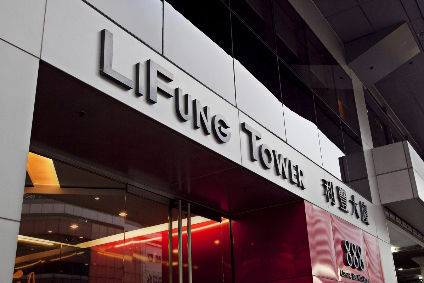 Li & Fung's vantage point puts it in the middle of a platform connected digitally to its customers on one side and to vendors on the other. "In the middle, we have our four platforms: materials platform, our 3D-design platform, production platform, and our vendor platform. Then we have six tools that feed these platforms: our materials marketplace, digital product development, capacity management, dynamic costing, tracking tools, and a quality tool. Again, these are all digital inputs that feed into these marketplaces." The idea, of course, is to create value on both sides, capturing and sharing data across the entire value chain "so that all partners are benefiting from our platform. 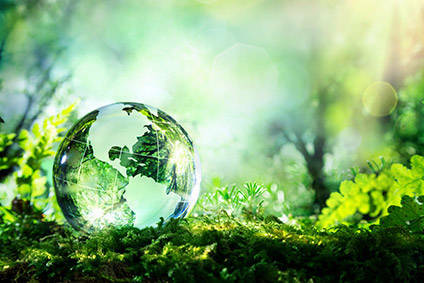 It's a very collaborative approach to the new world." Not surprisingly, Li & Fung has "access to data that nobody else has. We have a $100 billion of retail data that flows through our company," so is using artificial intelligence and data analytics to understand what the consumer's doing. That said, Compagnon also identifies a disconnect in that "the consumers are the world of digital, but in our businesses we're not. Especially in our industry, we're so far behind. It's an analogue industry, but we're digital people." And even when digital tools are available, and have been for some time, like 3D virtual design and fitting technology, "the uptake is extremely low. There are about 15 different softwares in that space...but there's no idea or thought about how to integrate that into a larger business. "It's not about making a style. It's about creating a different business model. You have to look at that as the beginning of a longer play"
"It's not about making a style. It's about creating a different business model. You have to look at that as the beginning of a longer play." One way Li & Fung is addressing this is by refusing to marry itself to any one technology. "We created what we call a platform of multiple technologies. We're looking at the disrupters. "In some cases we're making investments. In some cases we're partnering. We created what we call a centre of excellence in our 3D digital design area, where we took all the inputs and put it into one area in the company. We have over 200 people today just in that COE. "We recognised is that if you embed yourself with one technology, you're going to be stuck somewhat. We're trying to stay incredibly flexible. "We (also) have people that are trained in multiple ways to optimise the technologies that we already are bringing in. "We're sort-of creating a collaboration platform within all the different softwares, because frankly, certain ones are better for certain types of products. And just because you have the ability, let's say, to create digital images, how do you translate that? How do you create rendering farms that are fast, efficient..and then how do you tie that to the manufacturers?" One customer, he explains, created a digital showroom that "completely changed the way they go to market. They did it in two years." Instead of racks and racks and racks of apparel and footwear and accessories there are just tables with a screen in the middle. All of the merchandise is there digitally. They can project that onto the wall, show you what your store looks like. We're creating the inputs to that. That's the new world. "In two years they trained hundreds and hundreds of their wholesale partners to buy digitally. As consumers, it wasn't very long ago that people said nobody would buy apparel on the internet. Obviously, that's not the way the world is going." However, Compagnon also accepts it's not a case of one size fits all – and that there's still a role for the traditional long and cheap supply chain. "Everybody's business is unique. Everybody says they have to be faster. What does that mean? You don't need to be three weeks on everything. I think people have to understand what's important in their business and how to optimise the balance between speed, innovation – and of course cost is an important factor." "The companies that are doing well today in the retail space, that are opening stores, not closing and going out of business, are the ones that are completely not in this digital space, the dollar stores, the discounters. They need to be fed; they need to have things to sell. "Everybody looks at the retail and thinks that the whole thing is imploding. It's not. The landscape's changing. The winners and the losers are changing. "You have to understand how to create value for the ones that are hopefully going to win, and what supply chains are necessary to feed the different types of winners in the future." But what is not in doubt is "the players that are hoping that the world is going to be okay and put their head in the sand, they're not going to be around." 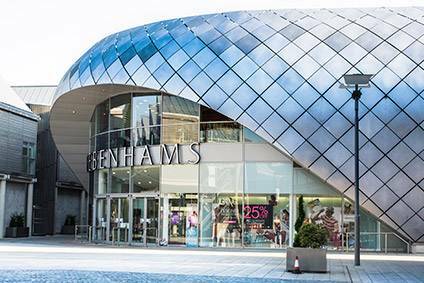 Debenhams issues fresh profit warning; expectations are "no longer valid"